A new pop-up bar has opened its doors in the neighborhood. The fresh arrival to the East Village, called Miracle on 12th Street, is located at 505 E. 12th St. The annual pop-up bar has been showing up in cities around the U.S. (and a few international locales) since 2014. 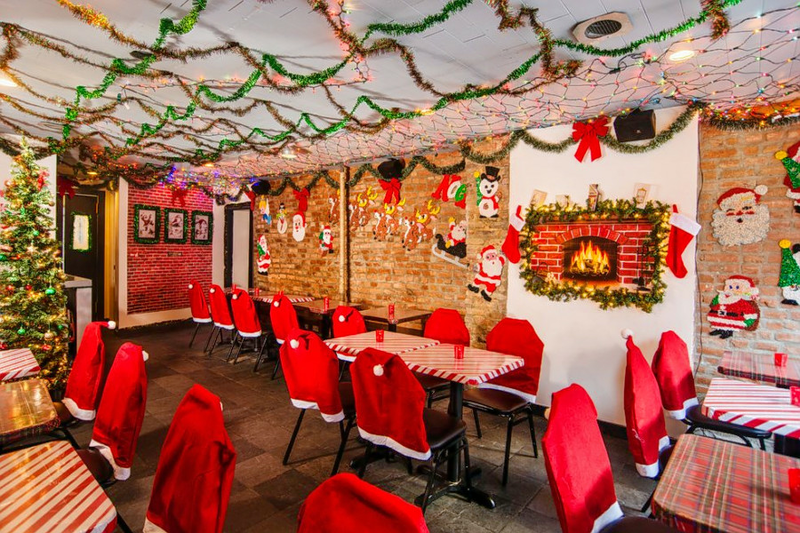 This is a Christmas-themed pop-up bar that offers holiday cocktails. Try the Gin-gle All the Whey with gin, whey, mint, patchouli and cream soda, or the Christmapolitan with vodka, cranberry, elderflower, lime juice and coconut water. The new cocktail bar has gotten off to a solid start thus far, with a four-star rating out of three reviews on Yelp. Angeline P., who was among the first Yelpers to review the new spot on Nov. 30, wrote, "Excellent holiday themed cocktails, not too sweet, and not too boozy. They offer one hot drink, which is really tasty, and I had the gingerbread cocktail, You'll Shoot Your Rye Out, which had grated gingerbread on top. Yum." And Keith F. wrote, "This is the same as Miracle on 9th, but with a roomier space. Same owner, same staff. The cocktails are all pretty great! I especially loved their eggnog. Their hot cider was really good too." Interested? Stop by to welcome the new bar to the neighborhood. Miracle on 12th Street is open from 4 p.m.-2 a.m. daily.